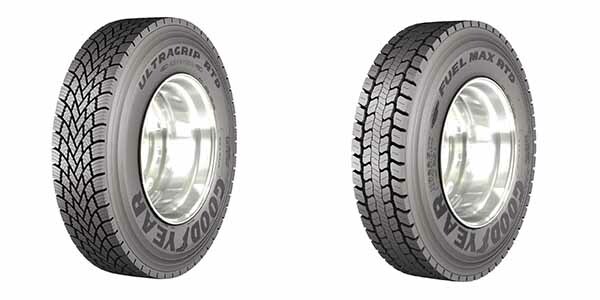 Goodyear Tire & Rubber Co. has introduced two new regional-haul tires, the Goodyear Fuel Max RTD and the Goodyear Ultra Grip RTD. The Goodyear Fuel Max RTD, a drive traction tire, balances enhanced fuel efficiency with long miles to removal and traction, according to Goodyear. Compliant with Phase 2 Greenhouse Gas Emissions and Fuel Efficiency Standards, the tire also contains a new, low rolling resistance tread compound. Conical stone ejectors to limit stone trapping.